This is a photo of Philip Billard sitting in Albin K. Longren's No. 6, Model G airplane (biplane) which was built in 1916. Longren and his wife Dolly opened an airplane factory in Topeka, Kansas. 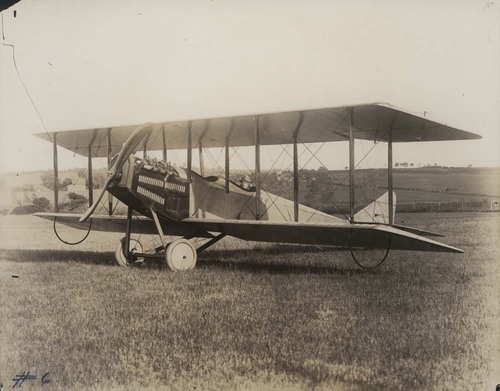 Longren's factory was the first successful aircraft manufacturing firm in Kansas. This photograph, showing Phil Billard at the control of Longren's No.6, helps the students understand how rapidly aircraft technology was evolving during the period between 1910 and 1920. In addition, this photo is evidence that A.K. Longren's airplanes were cutting-edge technology at the time.